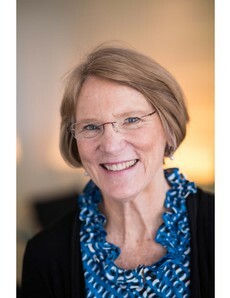 Anne W. Riley, Ph.D., is Professor in the Department of Population, Family and Reproductive Health, at the Johns Hopkins University Bloomberg School of Public Health, Baltimore, Maryland. She holds joint appointments in the BSPH departments of Health Policy and Management and Mental Health, as well as in the Department of Psychiatry in the School of Medicine at Johns Hopkins and at the Kennedy Krieger Institute in Baltimore. I am a clinical psychologist and mental health services researcher, with expertise in the conceptualization and measurement of health, including mental health and functioning, of children and adolescents. The topics I am most passionate about are the promotion of mental health among pregnant women and mothers, reducing the impact on families and children of maternal depression, and fostering a family orientation to public health. For the past two years, I have been leading a workgroup, the Maternal Mental Health Promotion Initiative, that involves faculty and students in public health, psychiatry, obstetrics across the medical institutions. Currently, we are conducting qualitative research with patients and staff at Hopkins obstetrics clinics to figure out how to better integrate evidence-based coping and depression symptom management in routine prenatal care. I worked with colleagues on ten scales to assess child (8-17 years) and family health outcomes as part of the Patient Reported Outcomes Management Information Systems (PROMIS) project, a Roadmap initiative of the U.S. National Institutes of Health. My primary focus was the development of the item bank and short form measures of children’s experience of family belonging. I have also led the development of multiple child/parent assessments, including the Child Health and Illness Profile-Child Edition (CHIP-CE), a child and parent report of the health related quality of life of children 6-11 years old, being used in more than 25 countries. My intervention work has focused on ways to reduce the impact of maternal depression on children and families through direct family interventions as well as health care programs and policy interventions. I teach Family Health, Public Health and Policy, 380.742, with Anna Davis, JD (HPM) as a hands-on course in which students develop skills in analyzing the likely impact of policies, laws and regulations on family health across the lifecourse. Guinosso, S.A., Johnson, S.B., Riley, A.W. (2015). Multiple Adverse Experiences and Child Cognitive Development, Pediatric Research, 79, 220–226 doi:10.1038/pr.2015.195doi:10.1038/pr.2015.195. Epub 2015. Weiss-Laxer, N., Platt, R., Osborne, L.M., Kimmel, M., Solomon, B.S., Mendelson, T., Webb, L. Riley, A.W. (2015). Beyond Screening: A Review of Pediatric Primary Care Models to Address Maternal Depression. Pediatric Research. doi: 10.1038/pr.2015.214. 79(1-2):197-204. doi: 10.1038/pr.2015.214. Epub 2015 Oct 20. Riley, A.W., Forrest, C.B., Rebok, G., Starfield, B., Green, B.F., Robertson, J., Friello, P. The Child Report Form of the CHIP-Child Edition: Reliability and Validity. Medical Care 42(3):221-231. 2004. PMID: 15076821.